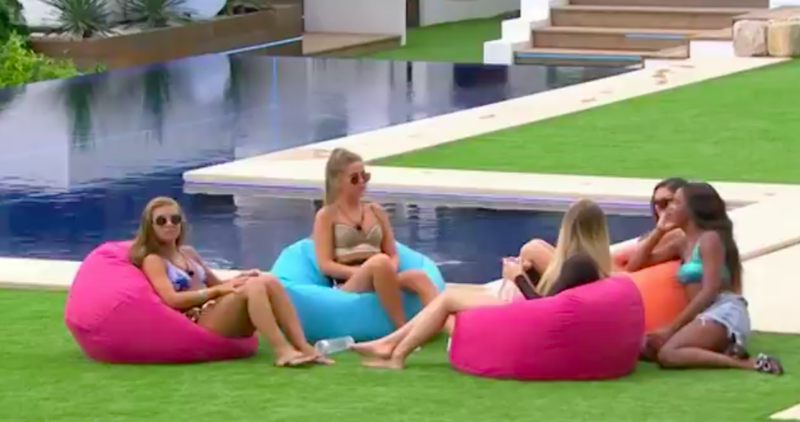 Love Island isn’t just a show about sun, sea and sexual attraction, they discuss important topics too – such as Brexit. They’re about two years late to the conversation, but better late than never I suppose? Besides who better to discuss the intricate complications of Britain leaving the European Union? Andrew Marr? Krishnan Guru-Murthy? No, what you want is the hormone-fuelled contestants in Mallorca. They might not be political scientists but Georgia Steel, Hayley Hughes, Samira Mighty and Kendall Rae-Knight did their best to make sense of the complicated and divisive mess which is Brexit. The politically-charged segment began when 20-year-old student Georgia asked the girls what they thought of Brexit during a conversation. She asked the girls their thoughts on the matter to which Hayley Hughes answered: ‘What’s that?’. Yes indeed Hayley, what is Brexit? I mean it’s only the number one topic of discussion which has divided the country since former Prime Minister David Cameron put forward the proposal for a referendum back in January 2013. Samira and Georgia attempted to break down what leaving the EU meant and how it would affect the UK and its economy, but when Georgia mentioned trade, Hayley’s immediate thought went to the trees. So does that mean we won’t have any trees? You could put your palm to your face at this complete and utter breakdown of an attempt to have an intellectual debate. But maybe Hayley has a point, one could argue, most people who voted during the referendum weren’t even 100 per cent clued-up as to what they were actually voting for. So in a way, Hayley’s question is a rather nuanced one – in retrospect. Kendall did her best to mediate the debate as she tried to explain the difference between Europe (the continent) and the EU. Doesn’t it mean it would be harder to like, go to like, Spain and stuff? So it would be harder to go on holidays? Oh I love my holidays. Don’t we all Hayley, don’t we all. People on Twitter were quick to react, some were probably amused by the Love Island’s contestants attempt to dissect Brexit, while others were probably thinking ‘I watch this show to escape these problems, not confront them’. I’d like to apologise for calling Love Island contestants ‘brain-dead dimwits’. It’s clear from this clip that they’re far more stupid than that. I'd like to apologise for calling Love Island contestants 'brain-dead dimwits'. This was never going to be the type of heated discussion someone would be accustomed to if they watch BBC Two’s Newsnight or attend debates at Oxford or Cambridge. But at least they gave it ago.